We might have bumped the clocks forward an hour and spring may technically be a mere week away, but you'd hardly know it from the snowpocalypse currently a-brewin' outside. But, hey, at least we've got an extra hour of daylight in which to shovel. Amirite?! But warmer days really are ahead, and they're closer than you think. To help remind us of that, here are a bunch of updates and announcements released this week concerning some notable music happenings slated for the spring and summer months. Leading off, Higher Ground Presents announced two shows in the annual Ben & Jerry's Concerts on the Green series at Shelburne Museum. 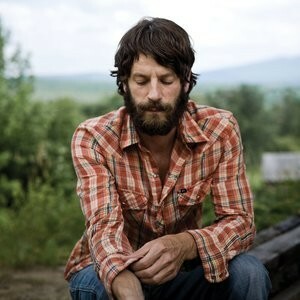 The first is soulful songwriter Ray LaMontagne with the Belle Brigade on Wednesday, May 28. The following Friday, June 6, Tedeschi Trucks Band take the stage. Also added to the 2014 BDJF lineup are nine-time Grammy-winning pianist Eddie Palmieri and his Eddie Palmieri Latin Jazz Band (Flynn MainStage on Sunday, June 8), indie rock-jazz hybrid trio Dawn of Midi (FlynnSpace, Sunday, June 1) and, back by popular demand following their 2009 BDJF reunion show, Burlington acid-jazz giants Belizbeha, who will celebrate their 20th anniversary with a gig at the Waterfront Tent on Saturday, June 7, with the Jennifer Hartswick Band and Kat Wright and the Indomitable Soul Band. Meanwhile, in Timber Ridge, our shreddy frends at the Frendly Gathering Festival — cuz there's no "I" in "frends," yo — unveiled the lineup for their 2014 fest, which runs June 27 and 28. You can check out the whole thing here, but headliner highlights include Delta Spirit, Deer Tick and Lake Street Dive On the local angle, Disco Phantom, Twiddle, Kat Wright & Co. and Jatoba are all slated to appear, with more additions likely in the coming weeks. The lineup for Waking Windows 4 continues to impress. The latest additions to the four-day blowout in Winooski (May 1-4) include Stereogum-approved experimental R&B singer White Hinterland and the Kyp Malone (TV on the Radio)-led side project Ice Balloons. And if all that's not enough to ease your Seasonal Affective Disorder, here's a random video of ravers dancing, set to Benny Hill music.